This pilot project will see the bringing together of building design and technology professionals with the goal of developing an `affordable` solution for a UV Free Shelter that could be adapted for application at home, nursery and within schools, allowing children with XP to be able to create their own `Indoor Garden` and benefit from the experiences of `outside` play. So this is how you can help and be involved. Currently we are developing a brief to be promoted to CIAT members, which will comprise the scope within which members can focus their design solutions. We want to make sure that to maximise the opportunity we seek help and views from around the world, from families affected by XP. This is a real opportunity for individuals and families affected by Xeroderma Pigmentosum to work with professionals to create a design solution which will be disseminated to the XP community. We mentioned in our New Year blog that we have a number of initiatives in the pipeline. As our own personal thanks for the huge support we have and continue to receive from so many, the Teddington Trust will be concentrating our efforts over the coming months on these projects. The first of these is a very important project where a little can make a big difference! 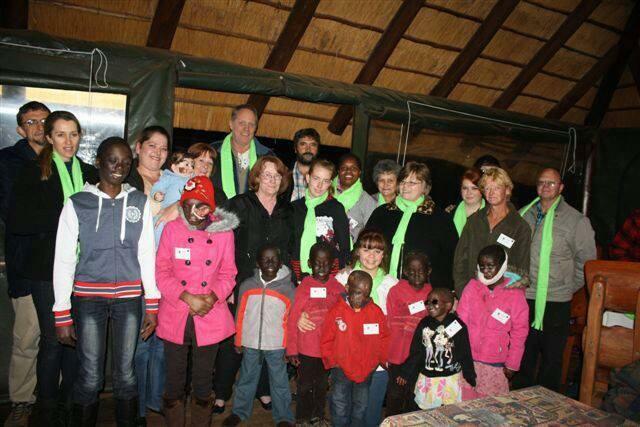 Last year the newly formed XP Society South Africa, held its first patient camp, Camp Bush Baby. This camp founded by Maryna de Beer, herself an XP patient brought together patients and their families offering support and helping to make much needed medical links with patients and specialists. Following the success their second camp is planned for 14th – 17th March 2014 in Durban. We have written much in our blogs and posts about the importance of the right clothing to provide the all important and life saving protection from UV rays but also in combating the heat. Due to economical factors and availability and access to resources, sourcing such clothing is difficult for sufferers in some geographical areas. As such we have made the following pledge to help this small group in the XP community. We will dedicate the entire proceeds from our next Rag Bag collection from which we purchase specialist UV protective clothing and UV protecting wash in treatment to be sent to the XP Society South Africa. We are asking for you to have a rummage in your wardrobes and if you have any of the following that you or your little ones have grown out of then please consider donating these to us. All items donated will be checked for their UV protection and packaged up along with the newly purchased items to be sent out the forthcoming Camp Bush Baby for use by adults and children affected by XP. Thanks to funds raised by the Teddington Trust we have been able to ensure that Eddison has the best protective clothing and creams available, which enable him to enjoy time outside safely and to maintain levels of comfort. Without this specialist clothing his life would be considerably more restricted than it is now. As such we feel very strongly that we would like to offer the gift of such clothing to our South Africa XP friends. Contributions by mid February if at all possible.